Back in the 1400s, Villa de Teguise sat at the heart of Lanzarote life, serving as the island’s capital until the 19th century. Its location was especially advantageous: Mount Guanapay, upon which the town was built, made for an ideal lookout point, providing views of nearly all sides of the island’s coasts, and therefore protecting it from pirates. While La Villa (as it is known by locals) is no longer the capital, it remains one of the best-preserved old villages in the Canaries. A wander through its whitewashed building-lined streets provides a glimpse into the past, via sights such as the 15th-century Nuestra Señora de Guadalupe Church and Santa Barbara Castle. The tower-turned-fortress now houses a Pirate Museum, which offers up history as well as phenomenal views. These days, however, Villa de Teguise is undoubtedly most famous for its flea market, which is held each Sunday morning. At the weekly event, the stalls completely take over town, selling items ranging from crafts and art to food. Many buses make the journey to Villa de Teguise just for the Sunday market, which takes place between 9 a.m. and 2 p.m. You can also get to the town easily by car, as its central island location makes it very accessible. While in the area, pay a visit to the César Manrique Foundation, only a short drive away. Escape the crowds on the well-trodden tourist trail during an explorative full-day excursion to northern Lanzarote. 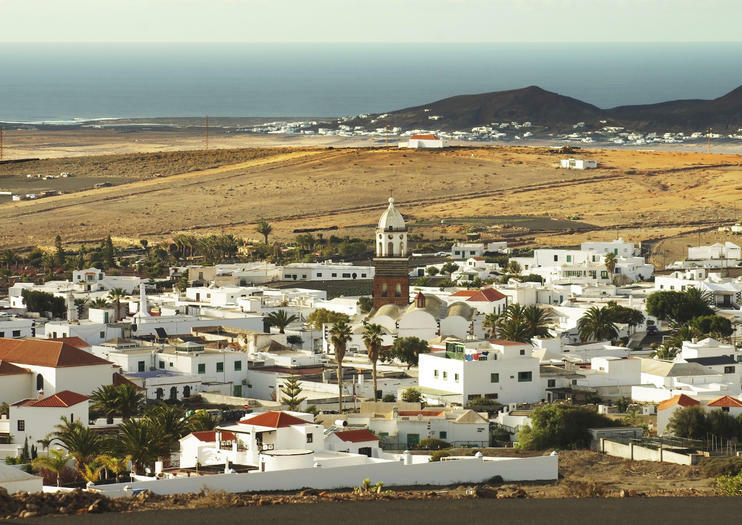 Accompanied by a knowledgeable guide, explore the ancient capital of Teguise Village (Villa de Teguise) to see charming churches and impressive monuments; absorb spectacular island views from the vertiginous vantage point of Peñas del Chach; and visit an Aloe Vera plantation to see fields of succulent bulbs. Luxuriate in the fabulous facilities of Jameos del Agua before concluding with a visit to the renowned César Manrique Foundation (own expense).